In a courtroom that was packed ten times in its capacity, lawyers, interns and journalists on Tuesday watched the second round of Ram Jethmalani’s cross-examination of Union Minister of Finance Arun Jaitley. The court was hearing a civil defamation suit filed by Jaitley against Chief Minister Arvind Kejriwal in the Delhi High Court. Of course, with the events of day 1 going viral (senior lawyer and Congress leader Abhishek Manu Singhvi tweeted about it and said it cannot be missed for a student of law), no surprises that the crowd swelled on day 2. Ram Jethmalani’s request for a seating arrangement for him was not heeded to. The nonagenarian once again stood for over three hours to finish the cross examination and the procedure will continue on May 15. As if yesterday he was mere testing the waters, Jethmalani asked several questions which were not allowed by either the judge or were objected to by the plaintiff’s lawyer. Today, the questions were more direct and touched upon Jaitley’s public life and his image. On his part, Jaitley volunteered to answer some questions at length, offering explanations like when he was asked whether he knew cricketer Bishen Singh Bedi. Question: Are you aware that I told Prime Minister Narendra Modi not to name you as a contestant from Amritsar? Question: Is it true that you put your reputation to test for the first time when you contested from Amritsar? Question: Can you assign a reason why Bishen Singh Bedi made a complaint against you? 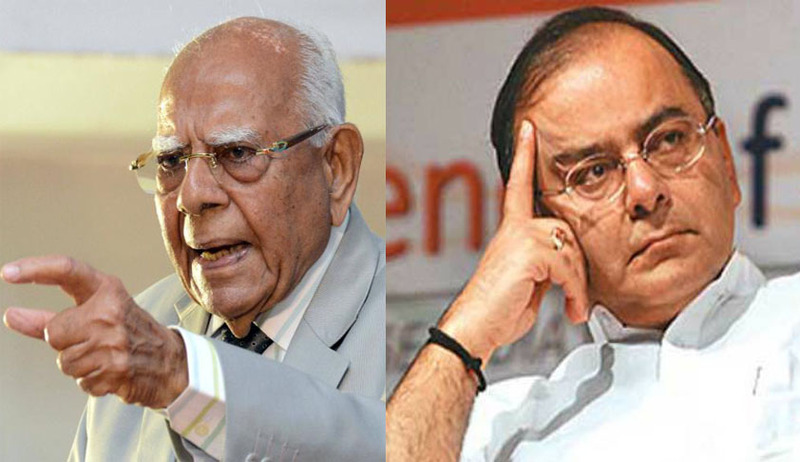 The thread Jethmalani followed on Tuesday was basically to show that Jaitley’s estimation of his reputation was exaggerated. If he did not have that much of a reputation to begin with, Kejriwal could not have possibly harmed that through his accusations. Jethmalani also tried to establish a second thread to prove that nothing that Kejriwal said about Jaitley was new and was not said before.